Why did Unit 4 of the Chernobyl nuclear plant explode on April 26, 1986? Was it operator error? Was it a design flaw? Should we look deeper into the Soviet system for the cause? Or should we look deeper still into the very existence of nuclear power? First, Plokhy delves into the background of the nuclear station, including the 1966 site selection, its location by the town and river both named Prypiat, and intense discussions over the type of reactor to build. Should it be the safer but more expensive VVER (Water-Water Energy Reactor) or the cheaper and more powerful RBMK (High Power Channel Reactor), which lacked a cement containment shield? Next, the author develops his story by looking not just at the people involved in building the plant, but their mutual relationships and their interactions with construction problems and delays. Third, these personal relations figure heavily into the uncertainty and miscommunication regarding a turbine test that resulted in the explosion—a totally unexpected event that plant operators had been told was impossible. The fourth reason that this book could gain widespread attention is its documentation of the spreading levels of disbelief. Dozens of firefighters were exposed to lethal and near-lethal levels of radiation, not knowing that burning nuclear material is completely different from other fires. The night of the explosion plant director Victor Briukhanov did not want to listen to reports of radiation measurements. When he finally understood that the situation was dire, politicians refused to heed his advice to evacuate the neighboring town. Instead, even as plant workers were admitted into the hospital with acute radioactive poisoning, seven Prypiat weddings went on as scheduled. Fifth, spreading disbelief morphed into wave after wave of coverups. Attempts to conceal the dangers from Prypiat residents spread to hiding them from all of the Ukraine. Hoodwinking efforts expanded to Russia and then to the entire world. Sixth, the coverups turned into blame games that fostered unrest in the Ukraine from 1987 on. In order to avoid discussion of the faulty plant design, Moscow bureaucrats put Ukrainian operators on trial. This incensed Ukrainians, who saw it as an assault on national pride. Seventh, while nationalists portrayed Chernobyl as a malicious plot by Moscow, academics and literary artists who had formerly praised the “modernity” of nuclear power now joined in its vilification. At the end of the 1980s Ukrainian environmentalists portrayed Chernobyl as a symptom of Moscow's eco-imperialism. By 1990, many political candidates linked denuclearization with Ukrainian independence and the new parliament approved a five-year moratorium on new nukes. But that moratorium was annulled in 1993 as rulers of the newly independent Ukraine decided that the country's market economy needed energy and employment and that nuclear power could provide both. The eighth factor in promoting the potential popularity of Plokhy's Chernobyl is its constant portrayal of the Soviet system as the ultimate cause of the disaster with the alternative being the safer nukes constructed by western countries. The US nuclear industry is likely to give a standing ovation to this conclusion. perils of the destructive potential of nukes inherently require a monolithic and controlling state, as opposed to wind and solar power which are nowhere near as risky. By catering to the crafted misperception that explosions are the single, solitary danger of nukes and barely mentioning or ignoring these obvious hazards, the book sidesteps key issues. The book mentions in passing that Ronald Reagan's “Star Wars” nuclear weapon expansion forced the USSR to escalate in response, even though it was seeking an opposite course. In doing so, the author refutes his repeated claim that the root cause of the Soviet plan to increase nuclear power was its internally driven urge to expand production. If the ultimate cause of the Chernobyl explosion could be shifted from operator error and design flaw to the Soviet fascination with nukes, then why not shift the cause further to the U.S.-sponsored nuclear expansion which provoked the response by the USSR? An honest analysis of the devastation of Chernobyl would identify nuclear technology itself as the fundamental problem, regardless of the country employing it. 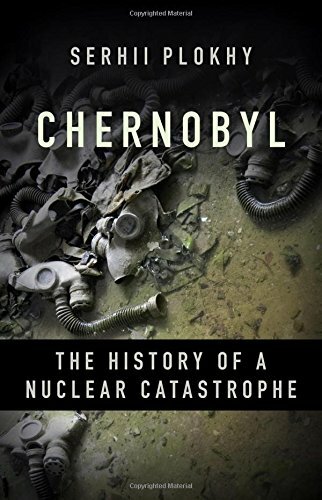 Even though the book refers to the 1979 Three Mile Island meltdown in the U.S. and Japan's 2011 meltdown at Fukushima, it continuously blames Soviet incompetence for Chernobyl. Clearly the author has an axe to grind against the bureaucratic mode of production and this muddles his explanations. In particular, it muddles interpretation of nasty efforts to cover up the catastrophe at every step of its unfolding. Yes, Soviet bureaucrats were less than forthcoming in the extreme. Interpreting this as a symptom of a Sovietism implies that rulers of capitalist society are beacons of truth and openness. To put it mildly, this is false. Immediately after the Three Mile Island meltdown citizens were told that there were no radiation releases; then “informed” that the radiation was “insignificant;” then told that fuel inside the core did not melt and no one needed to evacuate the area. Similarly, volumes could be written of coverups of agrochemicals and other toxins, climate denial, and under-reporting of species extinctions in the U.S., and they would still barely scratch the surface of what we do not hear. Don Fitz is on the Editorial Board of Green Social Thought, which is sent to members of The Greens/Green Party USA. He was the 2016 candidate of the Missouri Green Party for Governor. His articles on politics and the environment have appeared in Monthly Review, Z Magazine, and Green Social Thought, as well as several online publications.